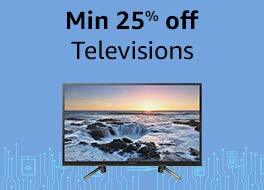 The Amazon Freedom Sale in India, in the meantime, is something to eagerly wait for in the period of Independence Day. In this week, the Amazon India is going to host in the Freedom Sale 2018 on its software application in addition to the website. The Amazon Freedom Sale is going to last for 4-days beginning from August 9 up until August 12. In this sale period, Amazon is going to deliver some of the best discounts and deals on a variety of products from a variety of categories. For the duration of the sale, Amazon is going to offer up to 40% discount on accessories and mobiles. 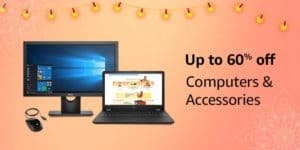 Amazon Freedom Sale 2018 – What All is On Offer? From 9th August to 12th August 2018, you are going to witness the best deals, discounts, and offers up for grabs!! During the sale period, you will be able to choose from as many as 2,500+ brands, 20,000+ deals, and 200+ categories. Therefore, whatsoever be the size of your shopping list, the Amazon Freedom sale is going to cater you with the finest discounts and jaw-dropping deals. First of all, in the Mobile & Accessories category, the sale offers up to 40% discount comprising of 50+ offers, 25+ brands, 30+ Amazon exclusives, and 4 all-new launches. Apart from that, you also have the ease of the No Cost EMI, Exchange Offer, and All-Round Mobile Protection. In the category of Electronics, the Amazon Freedom Sale has up to 50% off on offer together with No Cost EMI and Exchange Offer. You may choose from the widest range of gadgets together with 2,000+ offers, 350+ brands, and up to 55% off on 10,000 products. Apart from that, you might as well save a lot of money on the Amazon devices namely Amazon Kindle, Amazon Echo, and Amazon Fire Stick. 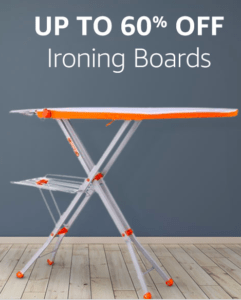 In the Home & Kitchen category, you are going to get the utmost freedom to redesign and reshape your home and kitchen with the Amazon Freedom sale offering up to 70% off comprising 200+ brands, up to 50% of on 2000+ products, 1800+ deals, and 1400+ products on No Cost EMI and Exchange Offer. The daily essentials category also isn’t far behind as Amazon is offering up to 50% off on the daily necessities and products with 100+ brands in personal care & beauty. In addition, is the customer shops for 1000, they are going to get 300 back on groceries. Furthermore, the Amazon Freedom Sale is offering daily deals on 10,000 products. With 50-80% off on Amazon Fashion, you might be able to express your style with loads of freedom, with 500+ brands, 20 lakh+ styles, 3 lakh+ styles with 70% off or more, and 30+ Amazon exclusives. With up to 40% off on TV & Appliances together with No Cost EMI and Exchange Offer, the joy of the customer just gets doubled. On books, entertainment & more, the Amazon Freedom Sale is offering up to 60% off, so get geared up to shop like mad in the upcoming 4-days of this fabulous sale from Amazon. 1 Amazon Freedom Sale 2018 – What All is On Offer?